Pepe Mora is an active architect and a native of Chapala. Ever since he was a child, he always managed to discover new houses and buildings, perhaps because of his natural born attraction to architecture and design. He grew up in the family business where he learned the worth of being a persistent man. 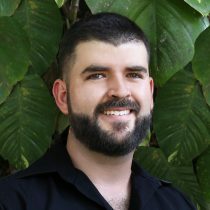 As a student, he obtained a degree in Architecture by the Centro Universitario de Arte, Arquitecura y Diseño of Universidad de Guadalajara in 2012. Since then he has been an independent contractor, designer and developer in the Lakeside area. He has collaborated on more than a dozen projects and buildings. Pepe is here to help you choose or build the home of your dreams!